Long time between posts - mostly because I've spent the last couple of months struggling away trying to get the battery pack working properly. In classic Stu fashion, I designed the pack without properly consulting the wealth of information online, and figured my design would be totally awesome. So, once I got the bike back from T-Whites, I hooked everything up, and pulled the throttle. The wheel spun with no load (no-one sitting on the bike), but as soon as I sat on the bike, the controller would cut out and turn off. 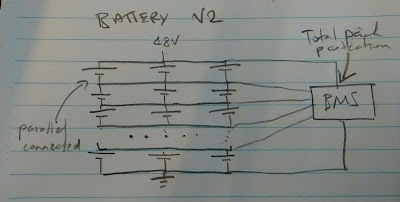 What followed were endless lunchtimes fiddling around trying to work out why my completely awesomely complicated prototype battery pack wasn't working. 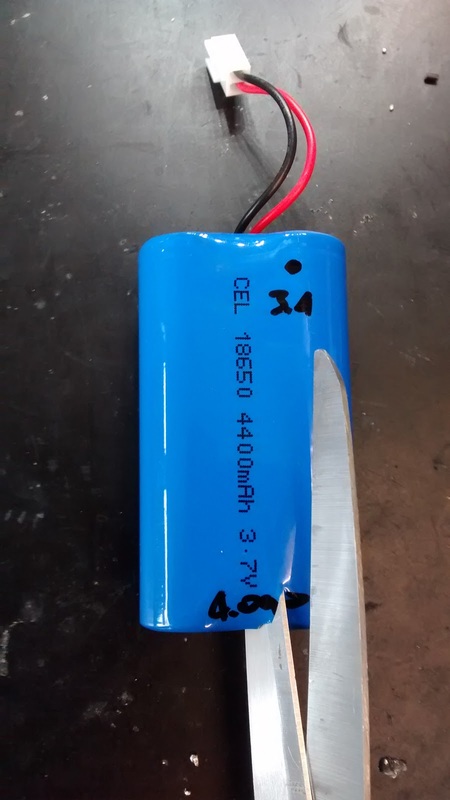 In short, while the battery pack design was certainly complicated, it was far from awesome. In-fact it was completely ineffectual. 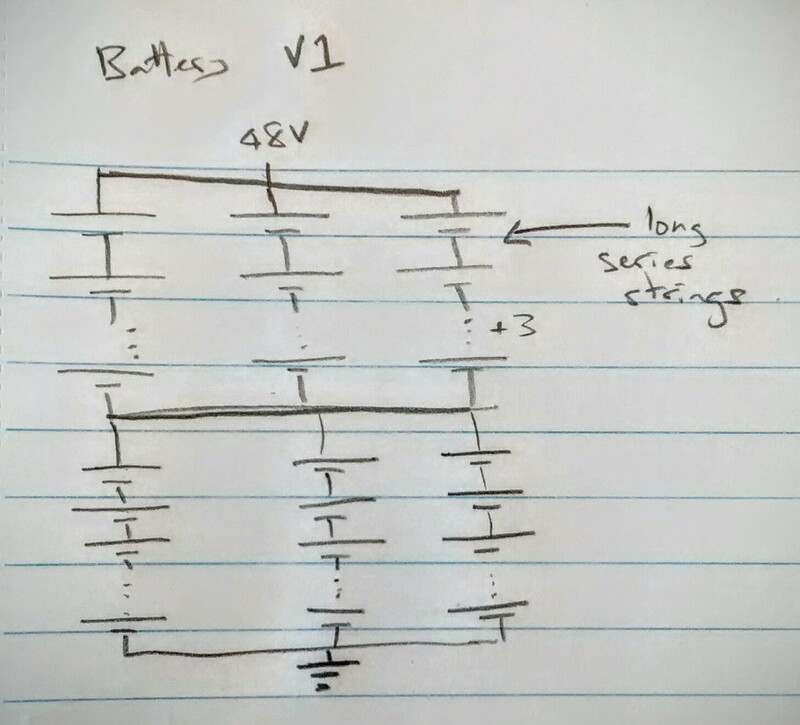 It was difficult to implement without making mistakes, and the pack layout, combined with in-built cell protection circuitry would cut the thing out with relatively small loads. Here's what I originally had made up. There's a few things going on here conspiring to stop the pack running. First the long series strings. If one cell in those strings stops going, immediately the power available at the pack drops by a third. Secondly the in-built cell protection. 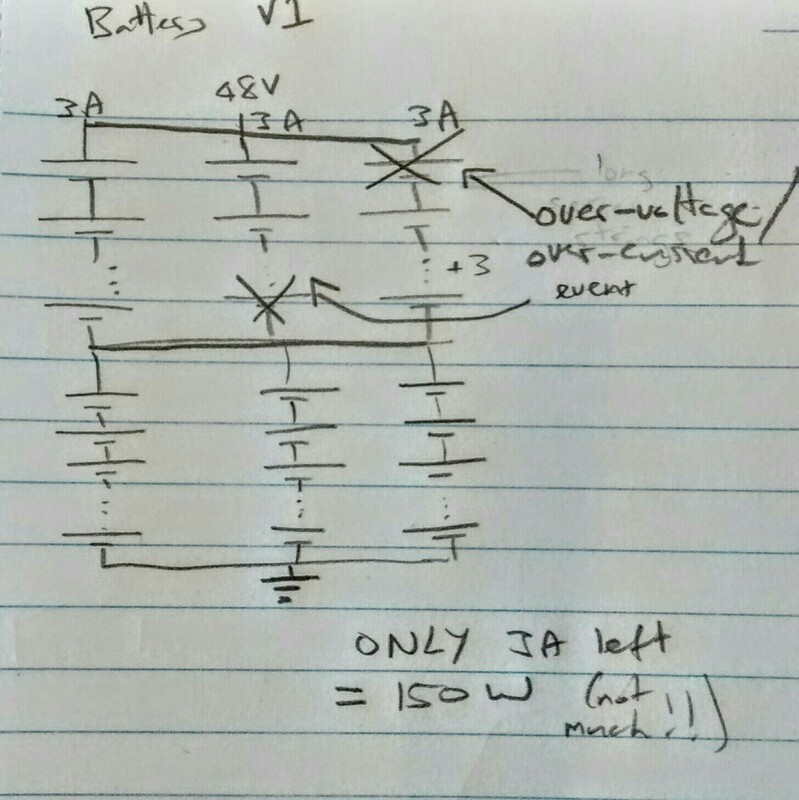 If too much current or voltage over a cell is seen by the protection circuit, it cuts the cell out, hence the whole string, as per problem one. I've tried to describe it in the diagram below. 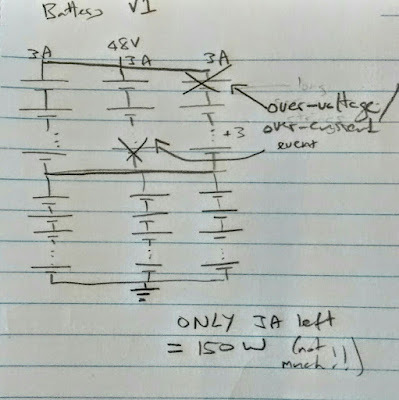 I'm pretty sure my attempts at over-voltage protection (see previous posts) with zener diodes blew up pretty early in the piece, further complicating things. 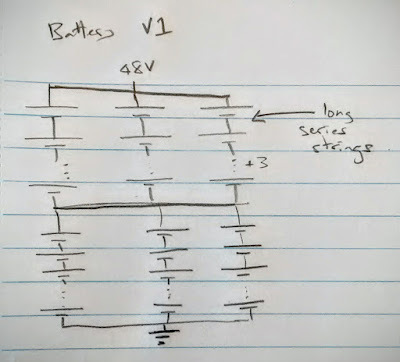 Industry practice is to connect the cells in large parallel groups, and have in effect a single series string. Protection is then managed by a purpose-built BMS (Battery Management System), which monitors the entire pack for over-voltage, under-voltage, and unbalanced charging. 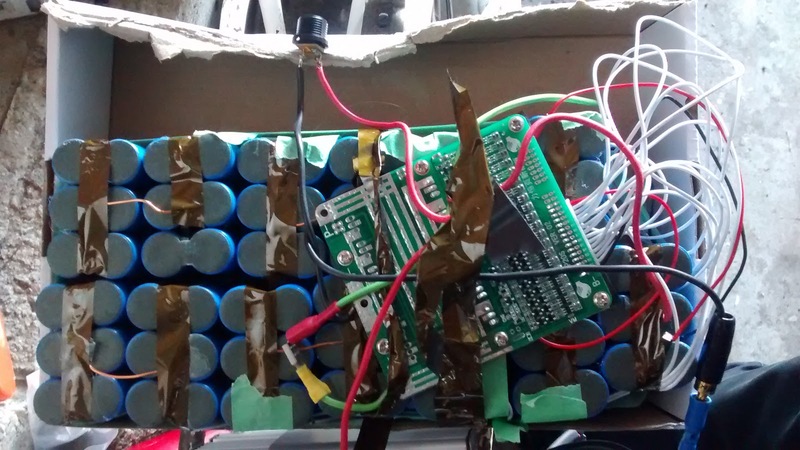 Fortunately I didn't have to re-invent the wheel here, and ordered an off-the-shelf unit, along with a proper lithium-ion battery charger on from this seller on Aliexpress.com. 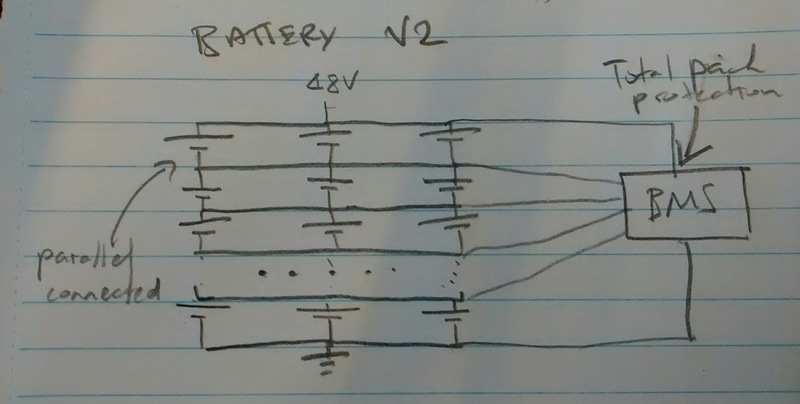 I went ahead and stripped off the individual battery protection circuits from the cells, and soldered up the battery pack as per the diagram above. 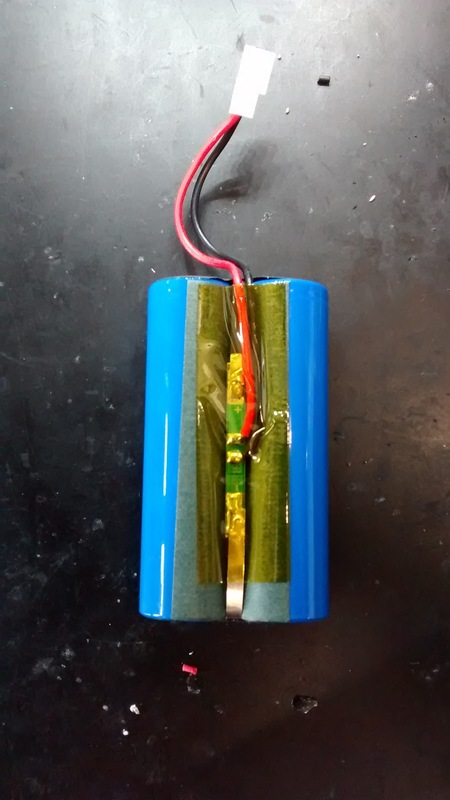 Soldered up battery pack, with new BMS. The only extra thing I added was a fuse on the battery pack output, to further protect it from over-current events (i.e. shorting). It was a revelation on plugging the thing back onto the controller. The bike came alive, delivering 500W without a problem. Success! Jenna and I both ran a few test rides, and managed to get around central Auckland without any electrical problems (running out of charge, smoking electronics). 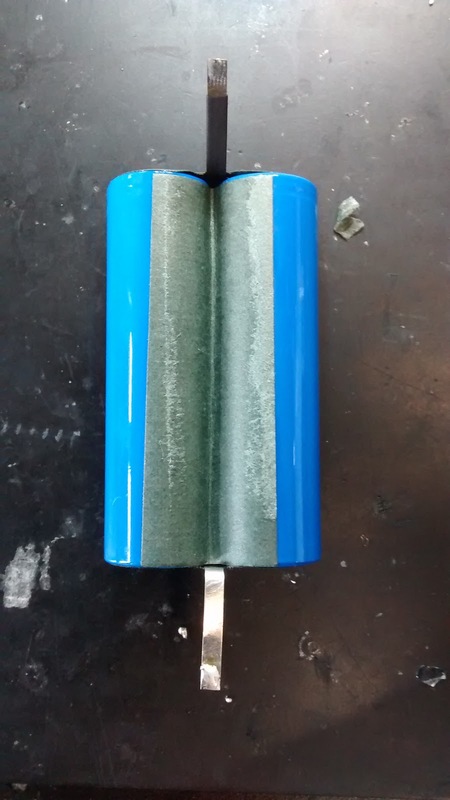 The next missions are coming up with some kind of battery enclosure, and upgrading the bike's brakes. A social media manager should have clear guidelines for their role, and yours as a client. You can very easily download Drake Ringtones, including Forever Best Ringtone. Drake has released some beautiful Songs lately, but forever is surely one of the best.